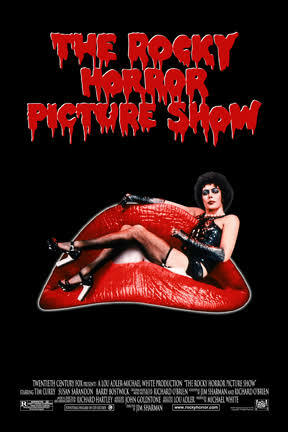 In this cult classic, sweethearts Brad (Barry Bostwick) and Janet (Susan Sarandon), stuck with a flat tire during a storm, discover the eerie mansion of Dr. Frank-N-Furter (Tim Curry), a transvestite scientist. As their innocence is lost, Brad and Janet meet a houseful of wild characters, including a rocking biker (Meat Loaf) and a creepy butler (Richard O’Brien). Through elaborate dances and rock songs, Frank-N-Furter unveils his latest creation: a muscular man named “Rocky.